The big question isn't which AI, but rather, will brands find it harder to reach customers directly? 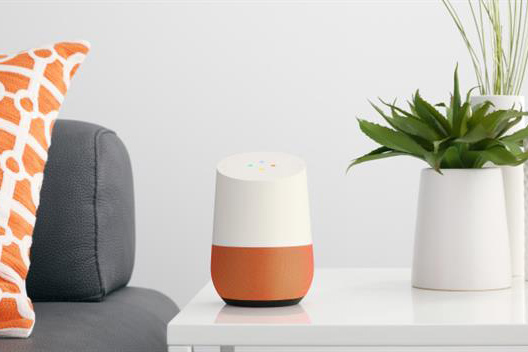 With voice assistants increasingly integrated into products as diverse as mirrors, to cars, to headphones – the race between Google and Amazon gives way to a bigger question: will marketers find consumers increasingly hard to reach when such assistants are the norm? The world of digital marketing has seen a seismic shift in just over two years. For marketers looking to influence purchasing decisions, digital is no longer limited to purely online or mobile, and voice is rapidly becoming another channel through which to connect with consumers. With assistants integrated into our cars, mirrors, fridges and even toilets, it seems likely that we’ll bring making meaningful and frequent purchases through this channel in the near future. Crucially, marketers will need to get to know the algorithms steering customers along their purchasing journey, lest they create an ‘echo chamber’ of preferred products, and leave others out in the cold. When buying washing detergent using LG’s latest creation, CLOi, users won’t face a list of every brand available – instead, algorithms will predict which product it believes to be the most desirable to the customers. This could be based on previous purchasing habits, geography, demographics or, perhaps, a paid partnership. In any version of the above filters, the algorithm becomes a digital ‘gatekeeper’, automatically curating which brands the consumer uses. An added difficulty that marketers will have to face is that the effect of such an "echo chamber" is that it is magnified over time; as users buy more goods from a particular brand it becomes the default option, with little room for others to make headway. For example, HiMirror is Alexa-enabled and can analyse your face to make suggestions as to how you can improve your looks, or allow you to watch make-up tutorials. So far, so useful – but what happens when HiMirror develops preferred brands, either through marketing partnerships, or through the algorithm becoming more attached to Clarins over L’Oreal? In such a scenario, can brands effectively work with voice assistants to reach consumers, and what steps should marketers be taking now to get on the right side of these new ‘gatekeepers’? One of the biggest challenges ahead will be transitioning from a visual into an auditory world, where consumers initiate contact with brands in a new environment, outside of bricks and mortar stores. This trend began with the advent of online discovery as opposed to in-store browsing. Now we have yet another avenue to research our potential purchases which reduces yet another step in the process: we request information on a specific query, leaving less room for incidental discovery of alternatives. In this scenario, brand names can be thought of as a password, helping to unlock a particular type of service for consumers. Brands synonymous with a category - like Kleenex or Hoover - have a natural advantage, but others can adapt to maximise brand recall. This will entail a multi-channel approach, blurring the lines between marketing media and retail spaces to establish new keywords for existing products, which will become synonymous with user-specific benefits or use cases. The ultimate goal is understanding how these devices and platforms work in the first place. Just as the industry adapted to work with SEO algorithms, navigating this new space will require an understanding of what makes this technology tick. Brands will then need to tailor their communications, and possibly even their products, to better cater to what the algorithm is looking for. Once past that door, the customer experience of the product or service will help establish customer loyalty to boost chances of a repeat request in future. As we reflect on the new innovations unveiled at CES, it’s vital for marketers to understand how this technology will impact their fundamental relationship with consumers. Traditional advertising will need to adapt when a voice assistant is in control of the customer relationship – whether by setting KPIs by specific keyword queries made, or by aligning their products, services and communications more closely with their customer’s favourite algorithms. Amid the fight for voice assistants today, future brand success will depend on working with, not against, the new AI gatekeepers.